Location, location, location!! This is a rare find! Mountain views from this lot! This very well maintained home has 1.64 acres with trees and seclusion, this is a must see! 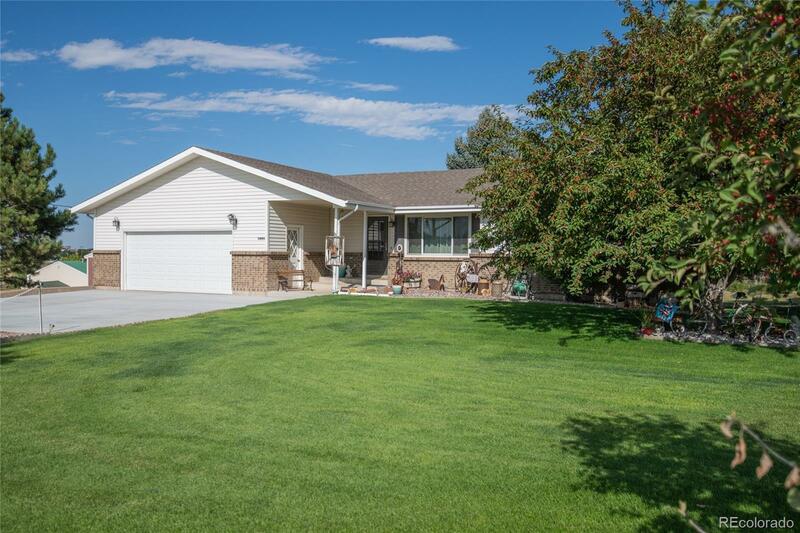 Large ranch home, 3 bedrooms on main floor, 2 in basement. Basement could be mother-in-law type set up if you like (see pictures). Walk out basement, lots of room! Updated flooring in kitchen and family room, new windows in 2016/2017, wonderful wood burning fireplace in living room. Another fireplace in basement. Large bonus room in basement as well as an office area. Updated bathrooms. 35x40 heated shop, large RV doors, plenty of room for work and play! RV electrical hookup outside as well. Easy commute to I-25 from Lincoln or Chambers to E470. Shopping nearby, all the amenities of Parker. New concrete driveway pad has been poured. Large, beautiful yard with a water feature in the back, great place to relax and unwind! Invisible fence installed for your 4-legged friends. Is this your new home?